Raymond Clinton Walker, Jr. was born March 16, 1934, the second of five children, to R. C. Walker, Sr. and wife, Elizabeth, in Centreville, Mississippi. Ray's parents were living in Wilkinson, Mississippi, but the nearest hospital was in Centreville. Ray's dad and mom had completed schooling at David Lipscomb College in Nashville, Tennessee, and moved to Wilkinson, where he became minister of the Church of Christ in Wilkinson and a teacher in the public school in nearby Woodville. Wilkinson boasted a grocery store with a post office in it, a church building, and the Netterville saw mill (still operative and one of the most prosperous in the world). The Walkers lived in a three room, shotgun, sawmill-raw-lumber house, which is still there today, with added bath and screened-in front porch, housing a worker at the saw mill. Since "R. C." (this is the way his dad was known) was an evangelist, the Walkers moved every two to four years. Also living in Virginia, Tennessee, Georgia, Alabama, Arkansas, and, Florida (twice) by the time Ray went to Nashville to attend David Lipscomb College (now University) in 1952, immediately after graduating from Andrew Jackson High School in Jacksonville, Florida. Ray was Chaplain of his graduating class at both schools. In Nashville, in 1952, Ray became the bass singer in the college quartet. Pat Boone was also a member of that group. He began doing local television and various shows, both, on his own and with the quartet Ray had been singing in quartets from the third grade. His dad put him on his public feet when he was six years old, both, singing and speaking. By the time he was fourteen, he was traveling away from home on engagements. 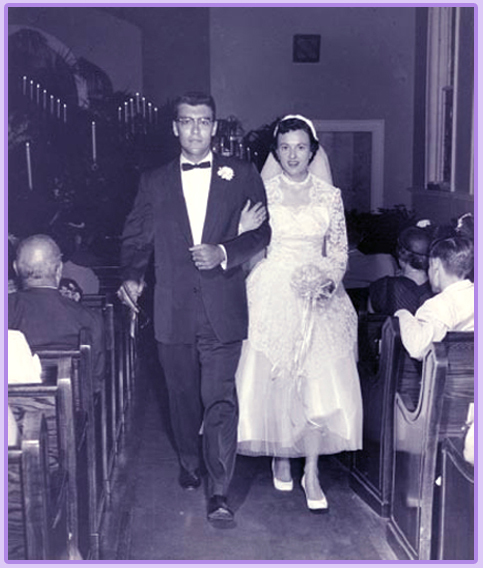 In September 1954, a junior in college, Ray and Marilyn DuFresne married. They had met in Jacksonville, Florida, at fourteen. Were it not for Marilyn, her knowledge, dedication, her strength, her care and keeping, none of the following could have been possible. Ray and Marilyn became involved in foster-care six months after they were married and remain active, presently, totaling some 35 foster children, for different periods of time. By May 1963, they had six children, and now have fifteen grandchildren and twelve great-grandchildren. Ray dropped out of school in 1955, moved to Centerville, Tennessee, where he helped to build a radio station, WHLP, worked with the local Church, and, became the youngest school principal in the history of Tennessee. He came back to college in 1956 and graduated in June 1957, with a BA Degree in Speech, Music, Bible, and, Education; worked for Werthan Bag Company during the Summer. By that time Ray and Marilyn's third child was on the way. During the early 1960s, Ray Walker, Neal Matthews, Jr., Hoyt Hawkins and Gordon Stoker helped mold the genre of Country Music known as "The Nashville Sound", singing backup harmonies to such artists as Elvis Presley, Patsy Cline, Jim Reeves, Loretta Lynn, Rick Nelson, Kitty Wells, Dolly Parton, Billy Ray Cyrus, and many others to numerous to mention. Also known for his solo recordings, Walker has helped in the development of albums and CDs of a cappella composition performed, among others, by the Freed-Hardeman University Singers and the Harding University Choir. For years, he served as song director for "The Amazing Grace" Bible program, produced by the Madison Church of Christ in the Nashville suburb. Marilyn was awarded "THE HEART OF A SERVANT AWARD" for her work with battered women. Ray has over 600 a cappella worship songs recorded, reportedly being heard in 77 nations. Walker has been recorded nearly every week since he was 13 years old. He began singing in public at 6 years old. In the late 1940s, Ray was recorded, first time, on his Dad's wire recorder every week until he was 18; in the 1950s, 1960s, 1970s, 1980s and 1990s, and 2000s, he was sometimes recorded on 200 songs a week, as aids in church worship in spirit and truth series. Ray has found time to be involved in over three thousand sing-outs, youth rallies, appearances of his own. Up to 2013, it is estimated that Walker has been recorded on more than 200,000 songs (including repeats for different services and classes), and including his professional recording with the Jordanaires, and is reservedly believed to be the most recorded voice in the history of music during his 66 years of performing. Ray Walker is currently one of the ministers of the Waverly Church of Christ in Waverly, Tennessee. Ray continues to lead singing for congregations of the Churches of Christ. ........And Ray and Marilyn work on.